In addition to vacuuming your home or office, it’s important to also have your carpets professionally cleaned on a regular basis. 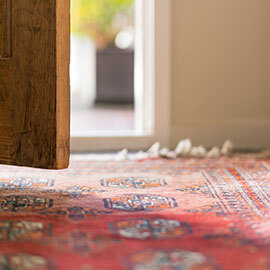 If not maintained, your carpets can house dirt and debris that will fall below the surface level. Professional carpet cleaning can help you get the most out of your home or office’s carpet, all the while keeping your floors clean and safe. Cleaning your carpets will remove dirt, oil, dust, debris, and other contaminants a surface vacuum will miss. These particles will dull the color of your carpet and make your floors look unappealing. Some of the common elements that can slip into your carpet and cause issues include indoor air pollution, cooking vapors, tracked-in dirt, and more. If your home or office’s carpet has been soiled and could use a deep professional cleaning, call TLC Experts at (800) 371-2273 or contact us online. At TLC Experts, we utilize a hot water extraction method of carpet cleaning. Research indicates this is the most effective way to clean carpets. Commonly called “steam cleaning,” it’s important to note that no steam is actually produced when using this method. By administering a cleaning agent into your carpet, and then agitating the particles and elements with water, our expert carpet cleaners can effectively remove those deep dirt stains a surface cleaning cannot. Need carpet cleaning near Jensen Beach, Port St. Lucie, Palm City, and surrounding areas? Call TLC Experts at (800) 371-2273 or contact us online! Commercial carpet cleaning. Whether you need to impress clients or just maintain a healthy-looking carpet for your employees, TLC Experts can provide your building with a professional commercial carpet cleaning service. Mattress cleaning. Accidents will happen to every piece of furniture, but especially the mattress. 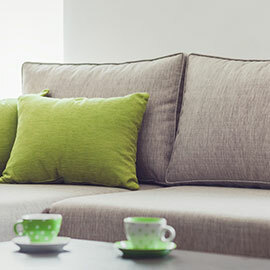 With our ability to perform both traditional wet and dry cleaning techniques, we can remove the toughest stains, odors, or spills from your mattress. For commercial carpet cleaning, tile cleaning, furniture cleaning, and other carpet cleaning services, call TLC Experts at (800) 371-2273 or contact us online! TLC Experts provides carpet cleaning services to the following cities: Barrier Islands, Hutchinson Island , Jensen Beach, John’s Island, Jupiter, Orchid Island, Palm Beach Gardens, Palm City, Port St. Lucie, Sewall’s Point, Stuart, Tequesta, Vero Beach, West Palm Beach, West Port St. Lucie and surrounding areas.